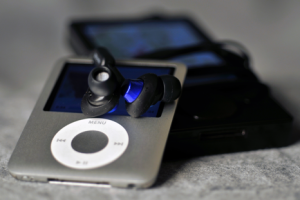 Recently, the World Health Organisation (WHO) announced that “1.1 billion teenagers and young adults are at risk of developing hearing loss” because of excessive use of earphones/headphones. The prolonged exposure, as well as high volumes, are causing damage without people even realising. Just look around you when you are on a public transport or walking down the street – how many people are wearing earphones? Every day, I see people on the tube wearing earphones – where the noise of the underground train is already so loud, that the only way they can listen to music is by cranking up the volume to unsafe levels. And yet, most people are doing it, for their entire commute, listening well above recommended safe levels and harming their hearing. We are in the process of creating a solution that could help prevent hearing damage for children and teenagers, and to that end, we created this survey. If you could take a few moments to fill it out, it will help us create better solutions and hopefully protect children. Hearing loss is not a glamorous issue. It is usually just relegated to the realm of the aged, but in our modern society, where most of us are constantly plugged into one gadget or another, it is becoming a wider spread problem than ever before. How often do you use earphones? How loud do you keep the volume? Are you aware that prolonged exposure or high-volume exposure may be causing damage to your hearing? Exposing yourself to too much noise could be damaging to your health. 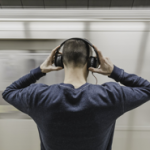 Make sure you’re protecting yourself by taking all of the necessary precautions you can take when listening to music, going to concerts or at work where you are exposed to high volumes of noise.